We also offer butterfly kits for fundraisers. Either way, you will be sure to bring in extra money for your organization and/or event while bringing smiles and giving back to those who support your cause with a live butterfly release. A few months before your next event, you start to pre=sale the butterflies for the day of the event fundraiser. Customers pay ahead of time for their butterflies and purchase them in memory of or in honor of loved ones, or just to support your cause/fundraiser. 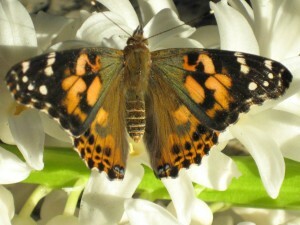 The day of the event, the customers can attend and release the butterfly(ies) they purchased. The more sold, the more impressive the butterfly release will be and add to your event. Go to fundraisers to read more about Butterfly Releases for Fundraisers. Butterfly Release Fundraisers are excellent for Relay for Life, Hospice, or any other type of event that you hold a gathering to raise money and support for your organization or charity. Looking for something different for your next school fundraiser? Are you interested in offering something educational for your next girl or boy scout fundraiser? 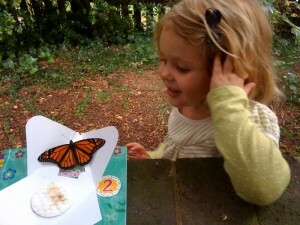 Using Butterfly Kits for your fundraisers are not only different and unique but they are educational and children (and adults) love them. What better way to raise money. Customers will be able to enjoy and watch the transformation from caterpillar to pupae to adult. And then when the butterflies emerge, they can release them. These work well for School Fundraisers, PTA Fundraisers, Boy Scout and Girl Scout Fundraisers, just to name a few. Contact us at Email to talk to us about how you can schedule your next fundraiser for your school, organization, or event. In the event of shortages, Wish Upon A Butterfly reserves the right to replace with butterflies of equal value.